So over the past few weeks I have been reading articles on couponing in search of ways to cut and get the most out of our monthly budget. From what I can find, you have the most success when buying multiples of things and using coupons on things that are already on sale. The kicker is that all stores have different coupon policies and things to that nature, thus making couponing a job and as a new mom, spare time is something I won’t have for years to come. After serious research, I decided to focus only on things that cost us the most each month. 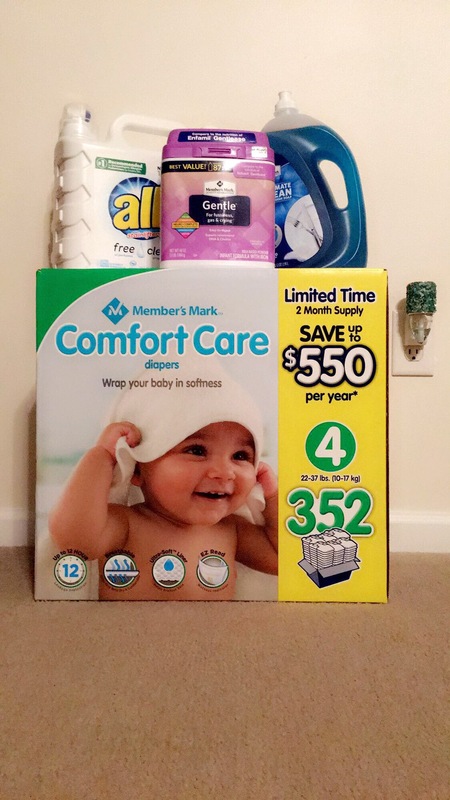 Dish detergent, laundry detergent, diapers and formula. This works out to be approximately $0.13 per diaper, $0.52 per ounce of formula, $0.07 per ounce of dish detergent, and $0.05 per ounce of laundry detergent. Believe it or not, this is going to save us $300+ per year on diapers and formula alone! Buying from Sam’s Club would save us even more if we used name brand items before but we have been using the Walmart brand, Parents Choice. No matter what brand you currently use, I personally challenge you to use my numbers to calculate how much youre family could be saving! I would love to hear your numbers and savings. Feel free to comment or email me! Next post52 Weeks of Gratitude Challenge: Why Start This Challenge?